Yesterday was fun! 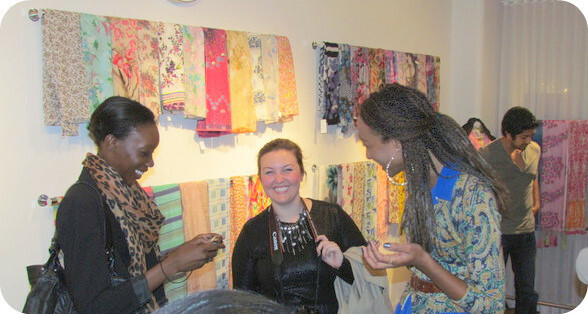 Along with a select group of fashion bloggers, I was granted access to Micky London's Manhattan showroom. Micky London is an accessory brand that manages to marry impact and elegance into a collection of scarves and jewelry. So many pieces managed to capture my attention- I honestly found myself in jewelry lust! Lucky for me, I got to take home a gift for coming! colorful pieces! I actually have that same silver choker to the left. This reminded me I should wear it more often!